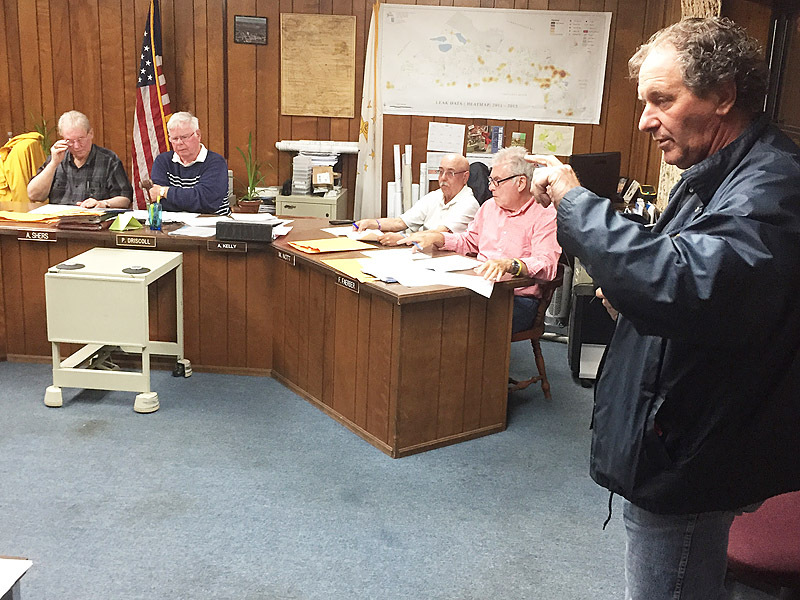 At the meeting of the Portsmouth Water and Fire District Board on the evening of May 15, the group voted, 4-2, to reject the nomination papers of John Vitkevich, denying him a place on the ballot for the June 13 election. At issue was a mismatch between Vitkevich's "Declaration of Candidacy" (the form indicating intent to seek office) which was made out for the position of "Tax Collector," and the nomination papers (on which candidates gather the signatures of eligible voters who nominate them for a position) which was made out for "Tax Assessor." Vitkevich had returned 31 valid signatures nominating him for Tax Assessor, although he told the Board his intent had been to run for Tax Collector. This was acknowledged, at the meeting, to have been a clerical error when the nomination papers were issued. Vitkevich argued that it was the fault of the PWFD. "I was handed those by staff," he said. "I got signatures and told everybody I was running for tax collector." The Board's attorney, David Fox, advised the Board they had two options: Reject the nomination papers outright, or accept them as an intent to run for the position noted on the form. There was some discussion of the options, and Vitkevich stated that he "would not run for assessor." Asked if he had read the papers listing the incorrect office, he said, "I did read them." Fox made the observation that everybody who signed the papers "could presumably read English," to which Vitkevich responded, "Of course they could. They don't speak Spanish." When general manager Jessica Lynch said that the staff error was not intentional, Vitkevich responded, "Oh yes it was." One member of the Board asked if it was possible to reschedule the election, to which another candidate in attendance responded, "You will get complaints from the other candidates." Attorney Fox also indicated that the date was set in the Board's by-laws. After about fifteen minutes of discussion, the Board voted to reject Vitkevich's papers, 4-2. Chair Phil Driscoll and Treasurer Allen Shers were in the minority, with Tax Assessors Ted Czech and Michael Nott, Moderator Ron Molleur, and Tax Collector Fred Faerber voting to reject. Water Commissioner Andrew Kelly was not in attendance. Vitkevich promised he would appeal the decision to the Board of Elections and contact news media. "This is not gonna look good on the Portsmouth Water and Fire District," he said. He demanded a copy of the declaration of candidacy, which Lynch provided. Editorial note: I was certified, at this meeting, to appear on the ballot for Tax Assessor, and I was the candidate who objected to the proposal to move the date of the election. No other news media were in attendance, or I would not have reported on this since I was a participant. Since I was not expecting to report on this, I did not bring my recorder, so quotes are from my handwritten notes; since the meeting was recorded officially, I stand ready to update if I got anything wrong. Readers should be aware that I am currently a candidate for Tax Assessor on the Portsmouth Water and Fire District Board, in an election to be held Wednesday, June 13. Any posts bearing on that race should be read in that context. For my campaign page, please visit JohnMcDaid.com. The Rhode Island Senate today passed legislation introduced by Sen. Jim Seveney (D-11) that would change the way drug awareness programs are approved and funded. The bill (2018-S 2025Aaa) would amend the Rhode Island Student Assistance High School/ Junior High/Middle School Act to regulate and update the administration of the programs. The legislation would place approval of drug awareness programs for minors charged with civil marijuana offenses in the discretion of the Department of Behavioral Healthcare, Developmental Disabilities and Hospitals (BHDDH). It would also redirect funds from certain civil fines imposed to the general revenue fund to be expended by BHDDH to fund substance abuse and student assistance programs for youth. The act would also mandate that BHDDH establish funding criteria for distribution of funds and require that municipalities that receive the funds file annual reports verifying that the funds are being used for substance abuse prevention programs. It would also make high schools eligible for the program; currently the law mentions only junior high and middle schools. The bill now moves to the House of Representatives for consideration, where similar legislation (2018-H 7221) has been introduced by House Majority Whip Jay Edwards (D-70). 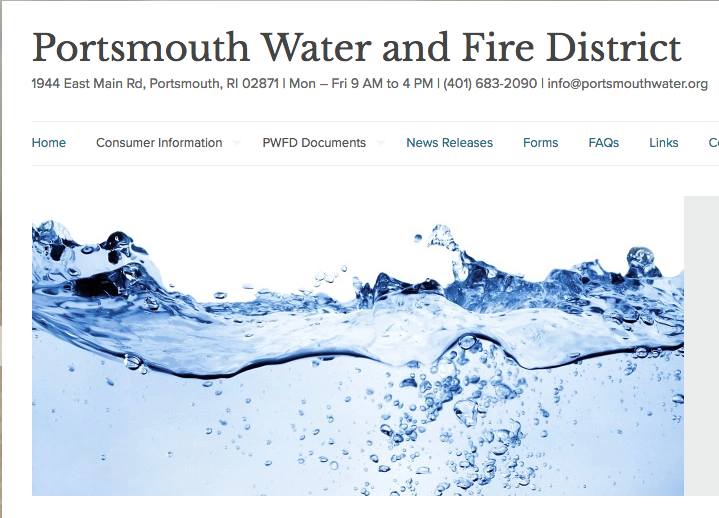 The Administrative Board for the Portsmouth Water and Fire District approved a $4.32 million operating budget for its 2019 fiscal year that began on May 1st. The 2019 fiscal operating budget has increased 3.65% compared to the 2018 fiscal budget. The approved total budget, which includes capital expenditures and principal payments on debt service, is $4.75 million. There is a 4.51% increase in the 2019 fiscal budget compared to the 2018 fiscal budget. There are no increases in water usage rates or base charges in the approved budget. The quarterly water rates are $7.28 for the first 5,000 gallons and $10.71 for all water use over 5,000 gallons in the quarter. The average residential customer that uses 60,000 gallons of water per year would have an annual cost of $624.04. The Board set the District’s property tax rate at $0.21 per thousand dollars of assessed value, which is a $0.01 decrease from the approved FY-18 budget. For a District property assessed at a value of $400,000, the tax bill would be $84.00. Property tax revenue accounts for less than 13% of the District’s total revenue. The use of its taxing authority allows the District to issue general obligation bonds, which offer a more favorable interest rate than revenue bonds, when funding capital projects. Philip Driscoll, Administrative Board chairman, indicated that the Board is working hard to properly maintain and improve the water system, and to improve efficiency through technology, while providing fair and reasonable rates for customers and taxpayers. To help improve the District’s operational efficiency, Mr. Driscoll encourages customers to pay District water and tax bills using the District’s online payment portal. The portal allows customers to pay by checking account, debit card or credit card at no cost to the customer. To pay online, customers should log on to portsmouthwater.org and click on Pay My Bill. Additionally, customers are encouraged to sign up for CodeRED to be notified of emergencies and shutdowns. Go to https://portsmouthwater.org/codered-emergency-notification-system/ to learn more and to sign up. Editorial note: Written from a press reeleast. 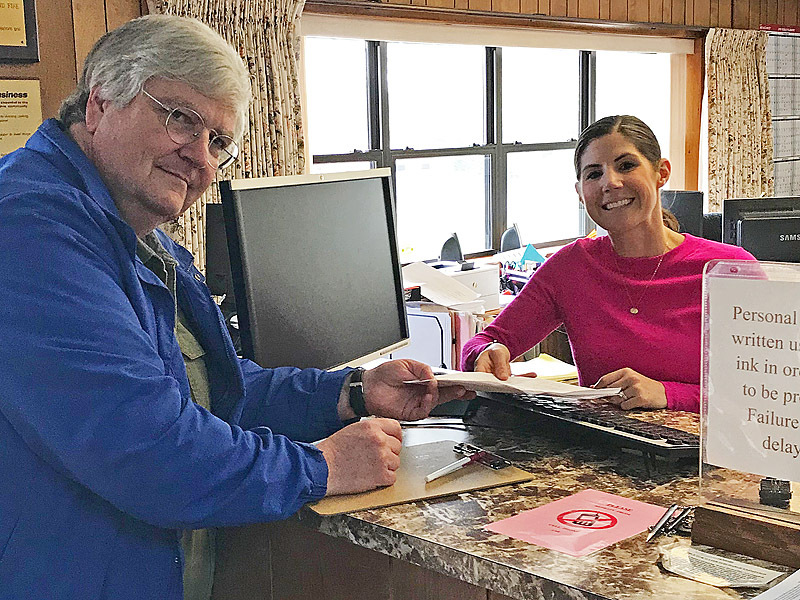 Today, our campaign turned in almost 60 signatures on nomination papers, which is the first step to appearing on the ballot for the Portsmouth Water and Fire District Board election on June 13. The minimum number of signatures required is 25, but candidates always get extras in case some are not validated by the canvasser. Collecting signatures is a great opportunity to have conversations with voters about their issues, and over the last three days, I heard questions about how water quality information is communicated and the relatively recent change to a quarterly billing cycle, among others. I want to thank my friends Terri Cortvriend and Linda Ujifusa who helped collect signatures. Also have to say thanks to the folks who have already contributed to our campaign — because of their generous contributions, I can now plan additional opportunities to get my message out. Thank you. For more information, please visit my campaign web site where I'll be sharing any election-related posts. At a brief press event on the Bristol Town Common, Republican Stephanie Calise announced her candidacy for RI Senate District 11, taking on the incumbent Democrat Jim Seveney. The Rhode Island Foundation is offering grants and scholarships through the Miss Swinburne Fund. Female students from Newport County and nonprofits that support the self-sufficiency and independence of Newport County girls and women have until April 6 to apply. In 2017, the Miss Swinburne Fund awarded $42,200 in scholarships to 24 students and $22,000 in grants to local nonprofits, including Boys & Girls Club of Newport County, the Dr. Martin Luther King Jr. Community Center and Lucy's Hearth. The fund memorializes Elizabeth H. Swinburne, a civic-minded woman of the early 1900s who established a school in her Newport home to educate young women. Following her death, the Civic League of Newport continued her mission until transferring its remaining assets to the Foundation in 2002 to establish a permanent endowment. The Rhode Island Foundation is the largest and most comprehensive funder of nonprofit organizations in Rhode Island. Working with generous and visionary donors, the Foundation raised $38 million and awarded $43 million in grants to organizations addressing the state’s most pressing issues and needs of diverse communities in 2017. 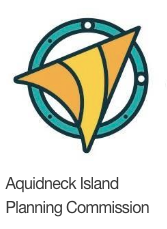 Through leadership, fundraising and grantmaking activities, often in partnership with individuals and organizations, the Foundation is helping Rhode Island reach its true potential. For more information, visit rifoundation.org. Playing at Sandywoods, Friday 3/16 -- hope to see you there! 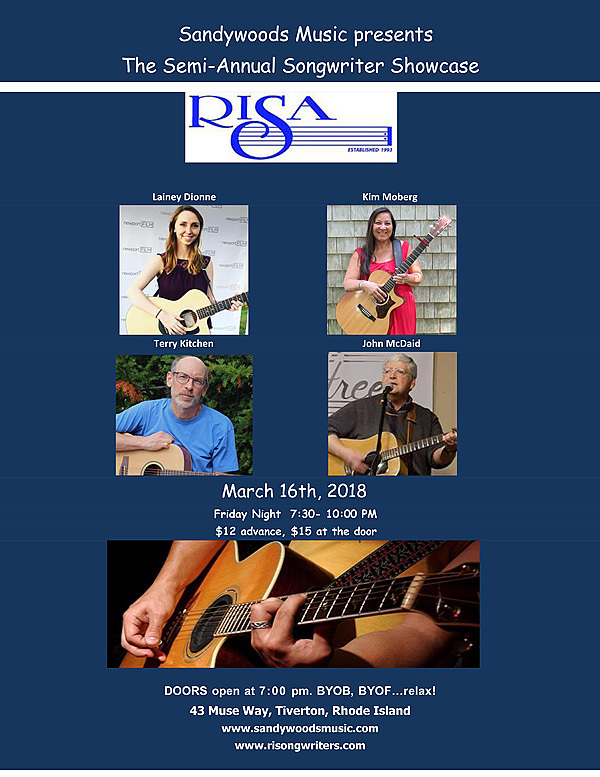 On Friday, March 16, I'll be playing at Sandywoods in Tiverton in the Rhode Island Songwiters Association semi-annual showcase, along with the awesome musicians Lainey Dionne, Kim Moberg, and Terry Kitchen. Sandywoods is a super-cool venue where you can BYOB/BYOF and have a great time listening to these singer-songwriters I'm thrilled to share the stage with. Doors at 7pm, tickets $15. 43 Muse Way, Tiverton, RI, 02878. This will be a fun evening! Read more about Playing at Sandywoods, Friday 3/16 -- hope to see you there! At a packed meeting of the Portsmouth High School parent organization last night in the library, Principal Joseph Amaral tried to allay parent fears about security and appeared to modify his position on allowing students to participate in a walkout next Wednesday, March 14. The first half of the two-hour meeting was led by district security coordinator Allan Garcia, then he and Amaral fielded questions from an audience of parents who expressed significant frustration with communications from the school. One pressing question on the minds of many attendees was what was happening next Wednesday. Garcia seemed as confused as some parents. "Anti walkout? Are we pro-walkout or anti-walkout?" He looked to Amaral. That seemed like a shift in message to some parents. “I left that communication thinking that if they go down there, they’re liable to be suspended,” said one. “And that’s what they think, too,” another added. The clarity of communications from PHS was a major theme, as parents peppered Amaral with questions for most of the second hour of the meeting. This reporter followed up on another concern that had been raised by the wording of the initial memo from PHS. This reporter had sent an e-mail to the Superintendent, principal, and school committee, copying in the RI ACLU, questioning what appeared to be an attempt to limit student expression in last week's e-mail from the school. Reporter: "To be clear, you’re going to allow the students to determine the content of what they do on that day? Amaral: "That was never a question." Reporter: "That was a question based on how it was written in the e-mail." After the meeting, this reporter followed up. You'll notice that nothing from the first hour of the meeting is described in this reporting. The following exchange with Garcia took place at the beginning of the event, after he told a student with a video camera to turn it off and not record the proceedings. Garcia: "Anybody here with the media? (Reporter raises hand) Okay, and what are you going to do with the information I provide today?" Garcia:" I just, and, uh, no offense, I cannot give away the playbook, obviously, to some of the safeguards we have here. So..."
Reporter: "But you’re going to discuss it with parents openly?" Garcia: "I just...do you understand that I don’t want this published in any type of periodicals about certain capabilities of certain things because it would, you know, if somebody’s reading it that shouldn’t be reading it, you know, it could be a bad thing." Reporter: "You realize that’s prior restraint." Garcia: "Okay. You call it what you want." To be clear: If there was anything in the first hour of the meeting that deserved to be reported, I would have included it here. And the district's safety consultant needs to understand the implications of government attempts at suppression of press freedom. When a government official speaks at an event at which the general public is present, there is no expectation of confidentiality. Prior restraint exceptions need to be narrowly scoped. Much of what he said in that first hour had no security implications whatsoever, and his request of this reporter — and demand that a student not record — was, in my opinion, inappropriate.